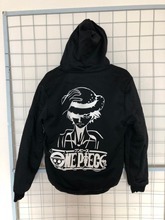 Thick and warm fleece One Peace hoodie featuring One Piece Anime print. 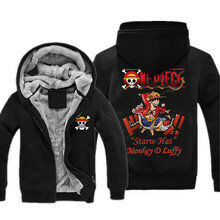 Choose the style of the jacket that you like most and all the attention of the crowd is guaranteed. 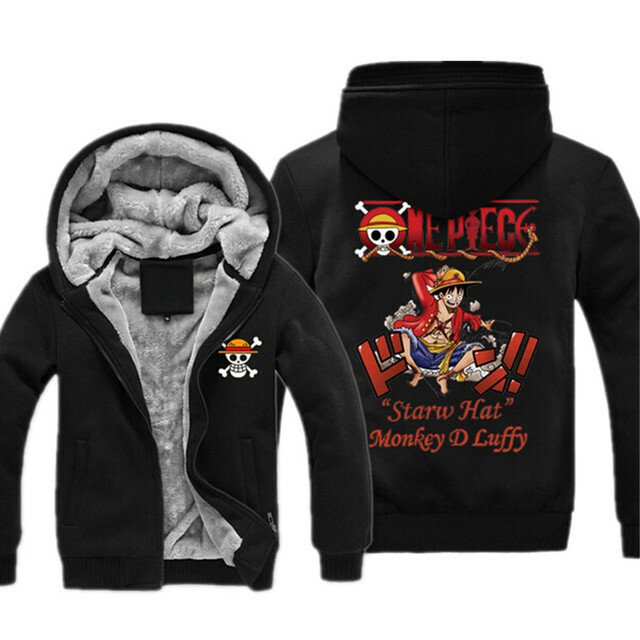 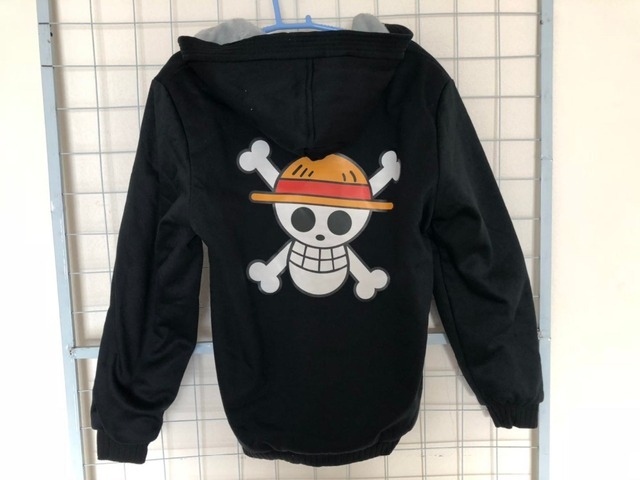 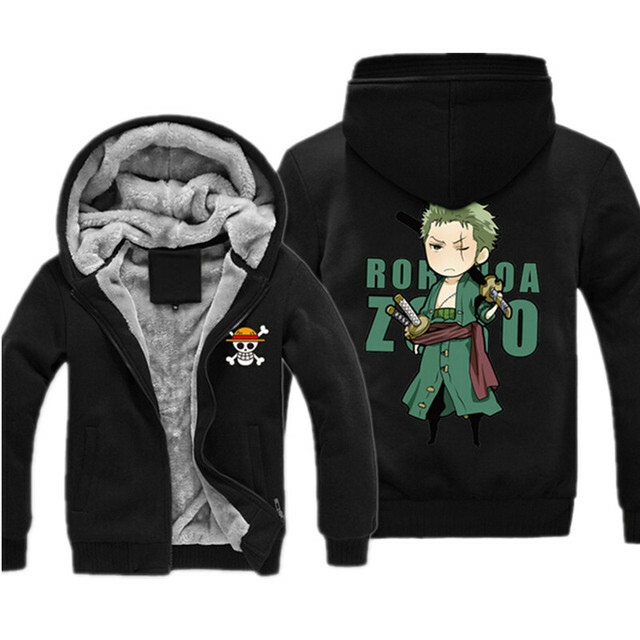 Show off your love for the One Piece anime! 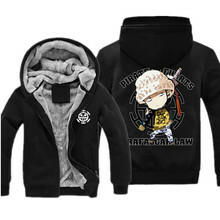 Warm fleece inside;This Size is for Asian. 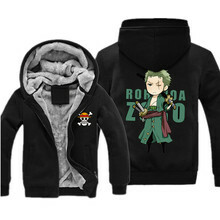 Adjust 3-4 cm if you are from US,EU and AU.choose larger than usual size. 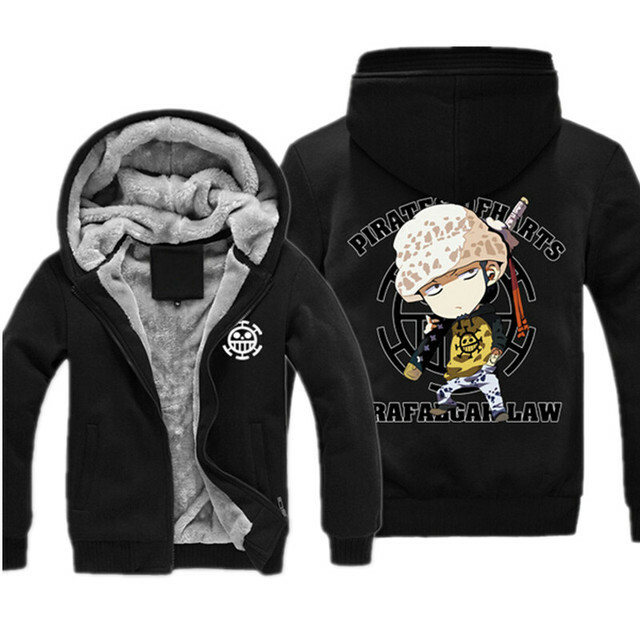 Comfortable cotton & polyester fabric. 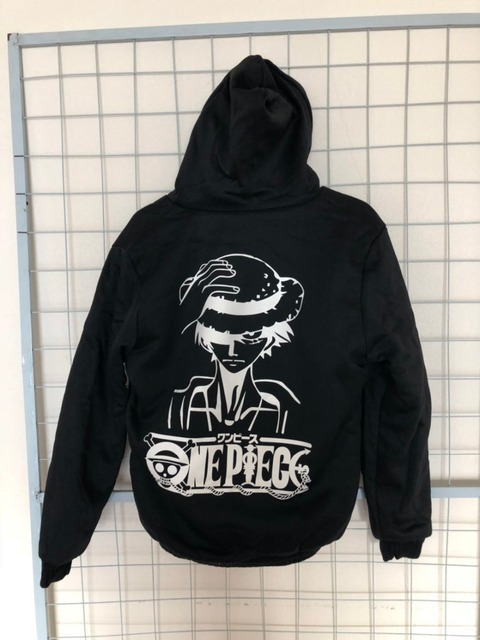 Hoodie received. Good Quality Thanks!